8.6" x 8.9" stitched on 14 count. 6.7" x 6.9" stitched on 18 count. 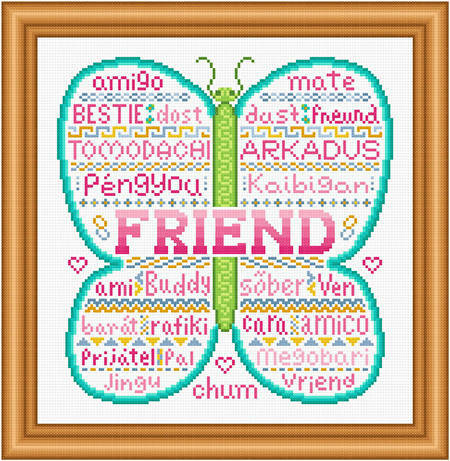 Friend cross stitch pattern... Many words used for Friend in various parts of the world are listed inside a butterfly shape. Three hearts and word chum are outside. Colors may be changed. All whole stitches are used.